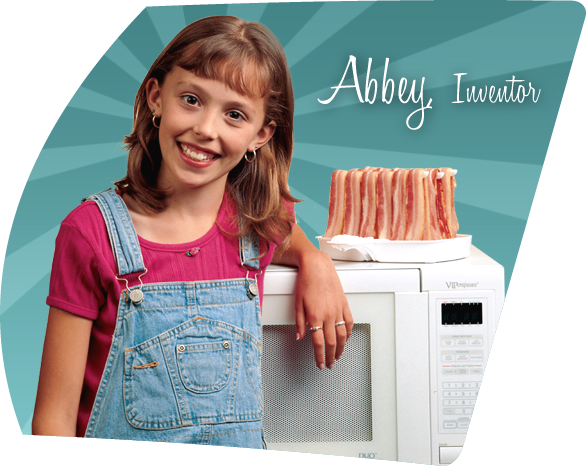 When I was eight I invented the best way in the world to cook bacon. Then my dad and I went to work and made the MAKIN BACON® dish. My dad loves it because it's so much easier, my Mom knows the bacon is healthier. My little Sister Kelly doesn't care, she just loves the bacon! | ©2019 A de F Ltd. | MAKIN BACON is a registered trademark of A de F Ltd. Patented. All Rights Reserved.